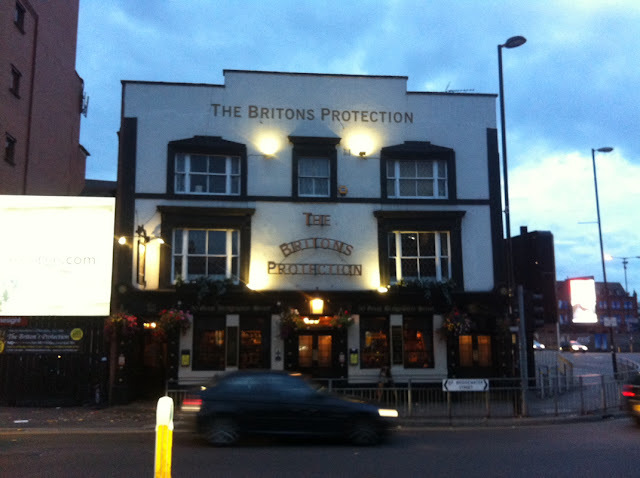 Our monthly gatherings take place on the first Wednesday of each month at The Britons Protection, 50 Great Bridgewater Street, Manchester, M1 5LE. It's just over the road from the Bridgewater Hall. It's particularly apt for a storytelling gathering to be held in a place that is itself full of tales. One of Manchester's oldest pubs, it witnessed the Peterloo Massacre in 1819 and the tragic events of that day are recalled on a set of murals inside the pub. Word of Mouth meets in an upper room, providing us with a comfortable and friendly setting to enjoy some wonderful tales.